Yesterday my friend had bad car accident, his car is in bad condition. Another bad news is that his car insurance policy was expired last month and he has not renewed it. This single mistake of non-renewal of car insurance will cost him few lakh, as he has to bear cost of repair. Lesson learned from above is one should understand importance of car insurance policy and renew it regularly. 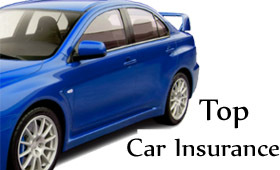 Car Insurance policy provide financial protection against damage. By paying premium of few thousands you are getting complete protection of car. Now million dollar question is that from which company we should take car insurance. To help you out we are herewith list of Top 5 Car Insurance Companies in India. Cashless servicing facility at 2900+ network garages across India. Accidental cover facility for co-passengers up-to Rs. 2 Lac. Tata AIG General Insurance is on second position. Tata AIG provides insurance for car, commercial vehicle & second hand car. TATA AIG also won Best Claim Service Company in 2012. This company offer following facilities. What do you think about these insurance companies? Do share your experience with above Car Insurance companies.